IBM unveiled the world’s “first universal approximate quantum computing system installed outside of a research lab” at CES earlier this week — and with it, the next era of computing. 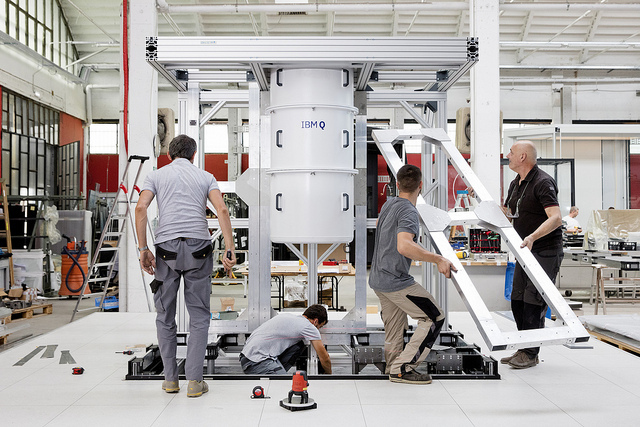 The 20-qubit IBM Q System One represents the first major leap for quantum computers of 2019, but before we get into the technical stuff let’s take a look at this thing. The commitment to a fully-functional yet aesthetically pleasing design is intriguing. Especially considering that, just last year, pundits claimed quantum computing was a dead-end technology. 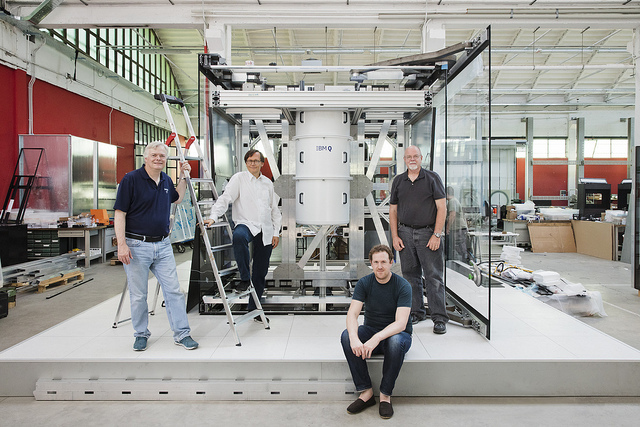 To make the first integrated quantum computer designed for commercial use outside of a lab both beautiful and functional, IBM enlisted the aid of Goppion, the company responsible for some of the world’s most famous museum-quality display cases, Universal Design Studio and Map Project Office. 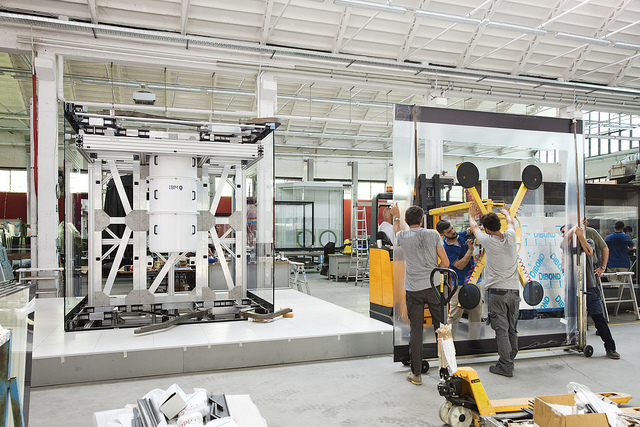 The result is not only (arguably) a scientific first, but a stunning machine to look at. This isn’t just about looks. That box represents a giant leap in the field. It’s hard to overstate the importance of bringing quantum computers outside of laboratories. Some of the biggest obstacles to universal quantum computing have been engineering-related. It isn’t easy to manipulate the fabric of the universe — or, at a minimum, observe it — and the machines that attempt it typically require massive infrastructure. Those familiar with the company’s history might recall that, back in the 1940s, IBM‘s classical computers took up an entire room. Eventually, those systems started shrinking. Now they fit on your wrist and have more computational power than all the computers from the mainframe era put together. – Imagine if everyone in the 60s had five to ten years to explore the mainframe’s hardware and programming when it was essentially still a prototype. That’s where we are with quantum computing. 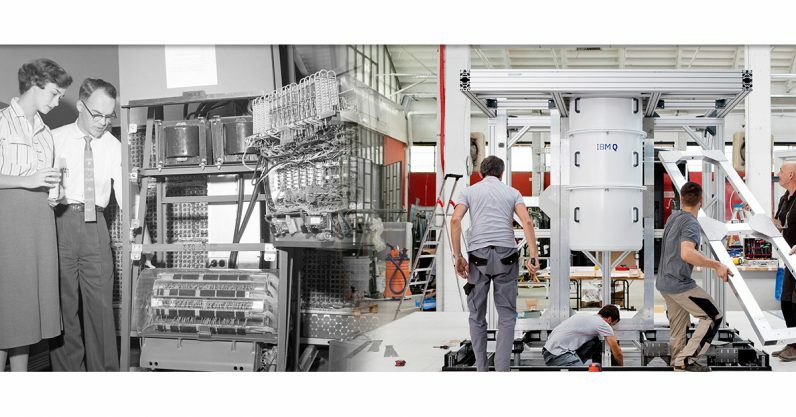 – And now, in the IBM Q System One, we have a quantum system that is stable, reliable, and continuously available for commercial use in an IBM Cloud datacenter. The IBM Q System One isn’t the most powerful quantum computer out there. It’s not even IBM‘s most powerful. But it’s the first one that could, technically, be installed on-site for a commercial customer. It won’t be, however. At least not for the time being. Instead, it can be accessed via the cloud as part of the company’s quantum computing “Q” initiative. For more information about IBM‘s Q System One visit the official website here. And don’t forget to check out TNW’s beginner’s guide to quantum computers.